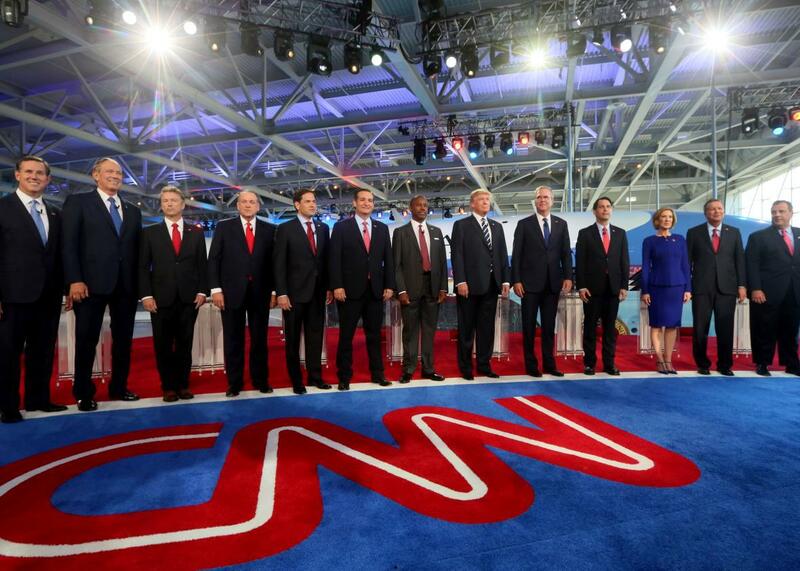 CNN Republican debate: It failed. Utterly. At the beginning of Wednesday night’s Republican presidential debate on CNN, moderator Jake Tapper announced his ambitions for the evening. “Our goal tonight is a debate, a true debate,” said Tapper. He didn’t deliver it. Judged by what we learned about the candidates and their policies, or by the extent to which those candidates were made to explain and defend their policies to their fellow candidates and America at large, or even by sheer entertainment value, Wednesday’s three-hour debate might have been the worst debate I can remember. Most of the time, Tapper is a capable journalist and host, one who isn’t afraid to challenge his guests if they’re being evasive. But very little of that attitude was on display at the Ronald Reagan Presidential Library, and it desperately needed to be. The blame for this doesn’t wholly redound to Tapper and his sort-of co-moderators, radio host Hugh Hewitt and CNN’s Dana Bash, who probably should have brought books to read. It’s almost certainly very hard to moderate discussion in an assemblage composed of 10 Type A personalities plus Jeb Bush. And the odd ground rules by which the debate was conducted did Tapper no favors, either. “I’ll give you time to respond if you’re singled out for criticism,” Tapper promised the candidates at the outset. He fulfilled that promise, and in doing so stalled the pace of the debate, making it difficult to keep the discussion moving and keep the candidates on point. The questions from Tapper, Hewitt, and Bash, for the most part, ended up eliciting stock answers. Many of the questions were framed in a way designed to encourage candidates to criticize other candidates’ positions on issues (or nonissues) rather than addressing issues themselves. (Others disagree with you. What do you think?! was the general thrust of the questioning.) “Mr Trump has repeatedly said that the $100 milion you’ve raised for your campaign makes you a puppet for your donors. Are you?” Tapper asked Jeb Bush early on in the debate. There is no possible world in which that question could ever elicit an interesting or valuable answer. “No, absolutely not,” Bush replied. Glad we cleared that up! CNN’s interrogative strategy seemed particularly weak in comparison with last month’s Fox News debate, which was lively and great. The Fox moderators often asked sharp questions that made the candidates uncomfortable, just as they should have. CNN, by contrast, seemed determined to encourage the candidates to make ​each other​ feel uncomfortable. The candidates mostly didn’t take the bait, and the result was a boring and inessential three-hour snoozefest. The first substantive question of the night came 25 minutes after the debate began, when Tapper asked Trump to explain what he would do right now to get the Russians out of Syria. Trump’s answer was very vague—“Number one, they have to respect you,” he began, and that’s essentially where he ended, too—and after trying and failing to get Trump to elaborate, Tapper moved on to Marco Rubio and Carly Fiorina, both of whom offered relatively detailed responses that, if nothing else, indicated a mutual familiarity with the idea that foreign policy requires actual policies, not just tough talk. The discrepancy between Trump’s vague assurances that he would restore America to greatness and his rivals’ somewhat more detailed proposals is exactly the sort of thing that needs to be probed in a debate, and Tapper missed a good opportunity to do so. Following Rubio’s and Fiorina’s responses, Tapper should have said to Trump, “You’re offering generalities, the other candidates are offering specifics,” and asked him to justify his initial answer. Instead—perhaps thinking that the discrepancy was obvious enough that it would speak for itself—Tapper moved on to a question about Iran. The entire debate was characterized by unanswered questions and unasked follow-ups. At one point, Ted Cruz announced that he couldn’t wait to “stand on the debate stage with Hillary Clinton and make it clear that if you vote for Hillary, you are voting for the Ayatollah Khamenei to possess a nuclear weapon.” It was the sort of provocative statement that demanded further explication—taken in context, it seemed to indicate that a Ted Cruz administration would dispense with alliance-based diplomacy entirely—but as soon as Cruz said it, Tapper was already trying to move on. Luckily, John Kasich stopped Tapper and insisted on being allowed to address Cruz’s general point. But Tapper should have pressed Cruz about his statement on his own. Perhaps his reluctance to dwell on follow-up questions was a function of time limits, or the large number of candidates onstage, but that’s no excuse. The follow-up question is the most valuable tool a debate moderator has. As a moderator dealing with politicians, you have to assume that any initial response will be canned. A truly skilled host will listen closely to those responses and use them as the basis for follow-up questions that might end up being more fruitful. That didn’t happen very often Wednesday night. Around 8:43 p.m., Scott Walker offered an inane rhetorical question in an attempt to justify an earlier statement in which he said that the United States should cancel an upcoming state dinner with China. “When it comes to China, why would we give an official state visit to a country involved in a massive cyberattack to the United States?” Walker asked. Well, there’s an obvious response to that rhetorical question, having to do with the ways in which diplomacy is conducted in the real world, as opposed to some imaginary isolationist vacuum. And it’s incumbent on the moderator to note that and force the candidate to acknowledge it. (Then again, CNN was so unconfrontational that it attributed a question about climate change to “social media.”) The chance to put political candidates on the spot is the main reason why we have these debates in the first place. Presidential candidates spend most of their time putting the best face possible on their own stories and policies. Debates like these are some of the only situations in which those candidates can be forced to answer hard, sometimes unpleasant questions in front of the voting public. But there’s really only one hard question that’s coming to my mind right now: Will it even be worth watching the next debate that CNN hosts? Actually, that’s not a hard question at all.